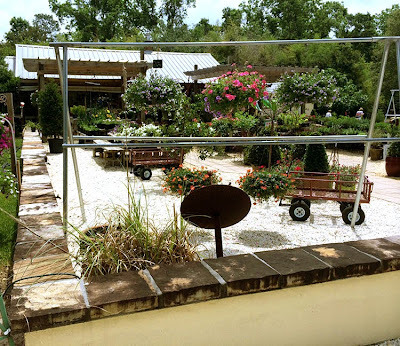 The other week, the Southern Bloggers Jubilee group met at the Silverhill Market Gift & Garden. I was so excited that this was the location for our meeting. I've passed the place several times heading from Fairhope to Robertsdale on 104 but am usually on a mission and don't have time to stop. 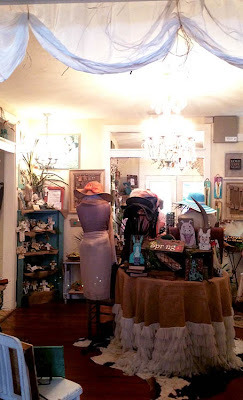 Our meeting was the perfect excuse to take a look around this lovely shop. Out front is the garden area of the market. 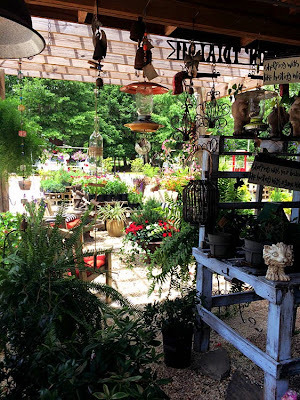 There were plants and cute decor tucked all over the patio and porch. 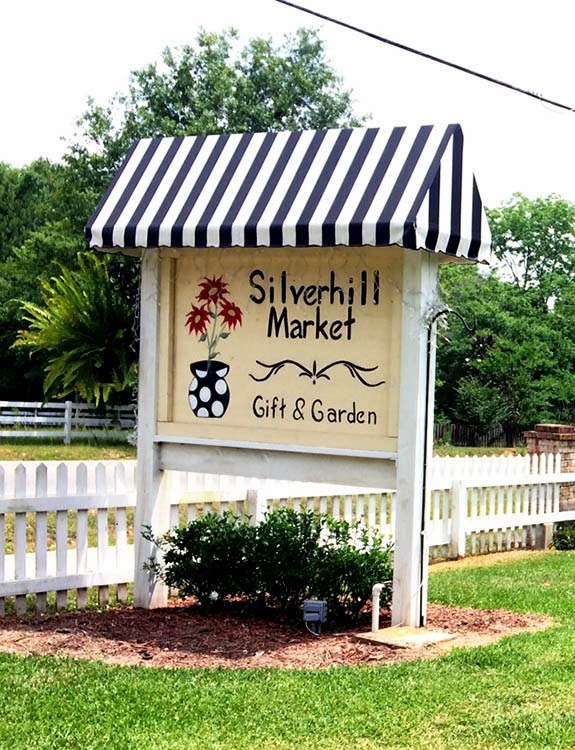 Silverhill Market has a great selection of art from local artists and craftsmen. There's even a small building of antiques (not pictured.) 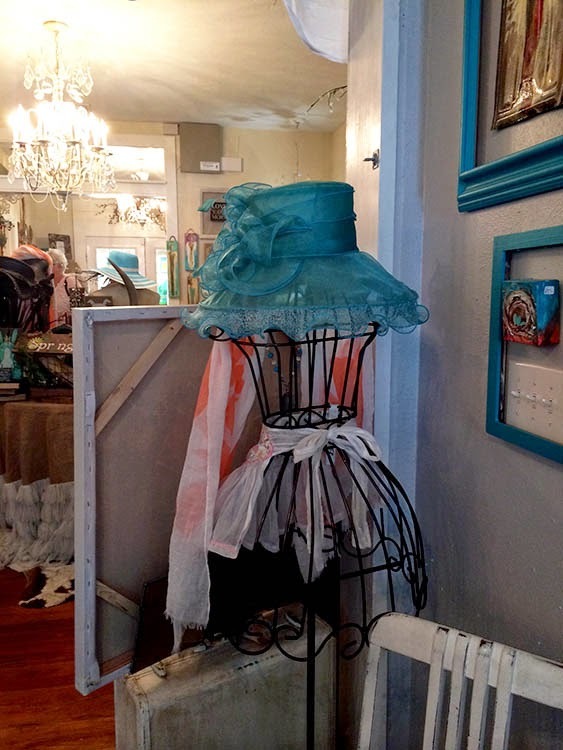 Everything about it is eclectic and quirky, but still full of upscale boutique style. 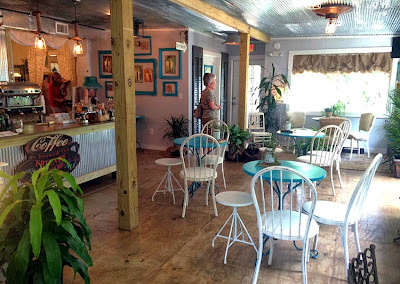 Our group met in the back of the main building where there's a coffee shop. It has a nice selection of coffee as well as a few other treats. Everything was very reasonably priced too! Just off the coffee shop is a beautiful bamboo garden into which alcoves of seating areas are situated. 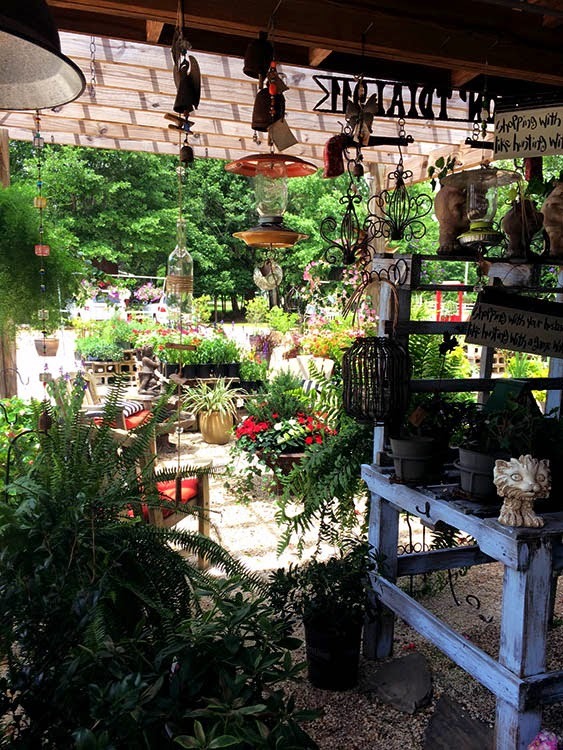 I believe there's a little bit for everyone at the Silverhill Market. Don't believe me? 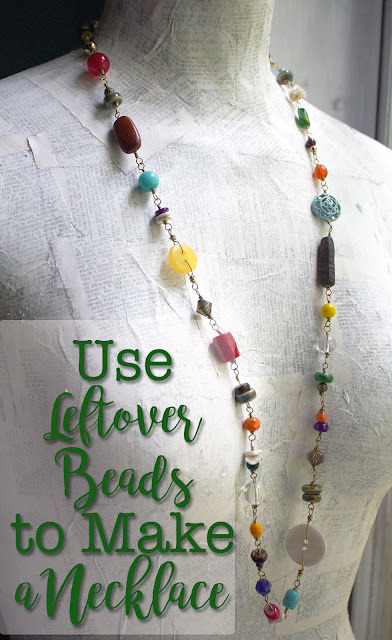 Go see for yourself! The Silverhill Market Gift & Garden is located at 16320 Silverhill Ave in Silverhill, Alabama, It's open 9am-5pm Monday-Saturday. It's a great place to explore. 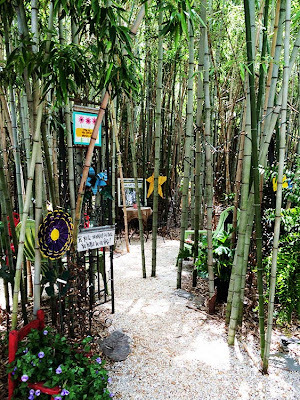 The bamboo garden was my favorite part! You got a great sense of the feeling of it with your photo. Lorraine, That was my favorite too. In fact, as I walked up to the market, it was your husband who told me to check it out. So glad I did! Thanks! I just love this place Hope! I can't wait to go back and explore some more!